This woodblock print by Torii Kiyonaga measures 9 1/2 x 7 inches. It is signed, sealed and titled within the image. 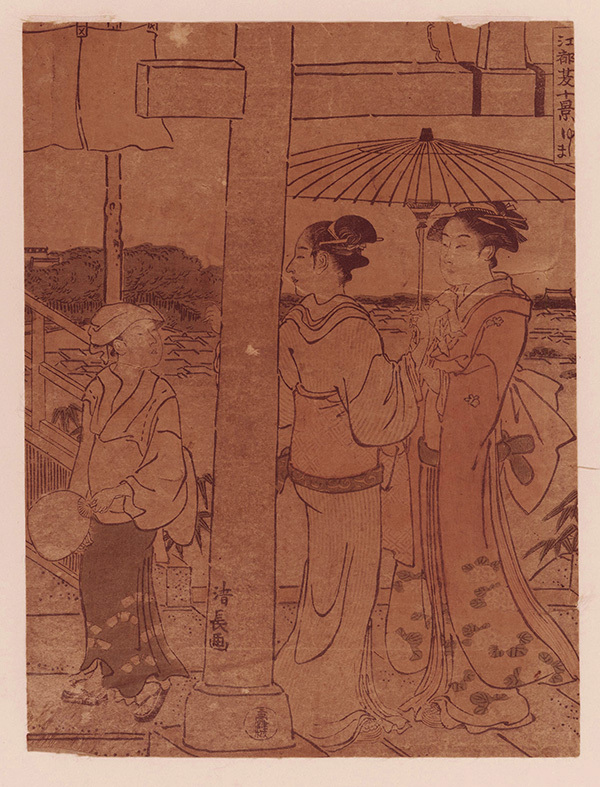 Kiyonaga was one of the great masters of the full-color print depicting courtesans, beautiful women and Kabuki actors. Head of the Torii school, he excelled with "bijin-ga" (beautiful women) prints and these were considered to be his best works.